The low mileage survivors just keep on coming! This 1988 Buick LeSabre is reported to have just under 29K miles, or just 1,000 per year since it rolled off the showroom floor. 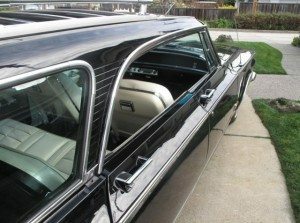 The story goes that the car was purchased by a woman who loved to pamper her wagon and would take it to woody car shows where it was well received. 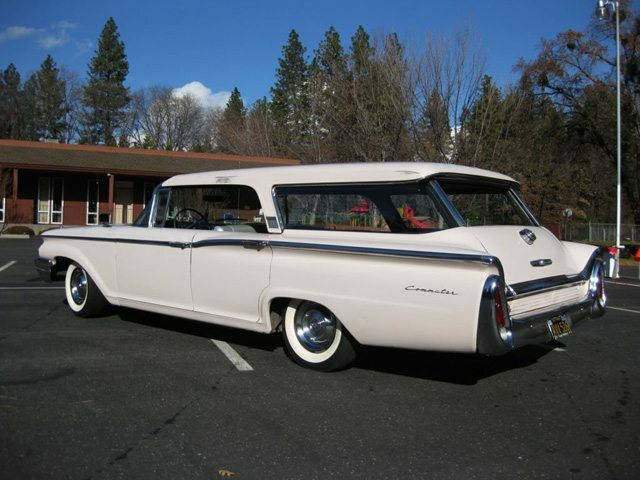 She sold it to another enthusiast who maintained the wagon to high standards as well. Found on Ebay in Redmond, Washington, there was plenty of interest with the reserve already met in the first few days of the auction. 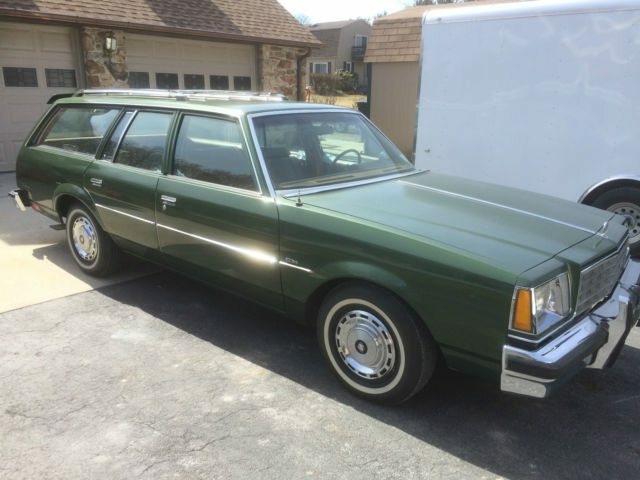 Low mileage cars always get my attention so when I saw this super low mileage Buick Century station wagon on Craigslist I just had to do a little research as not much information was given. What is stated in the ad is the asking price is $6,000 and that there is good new headliner, muffler and tailpipe, battery, and heater hoses. 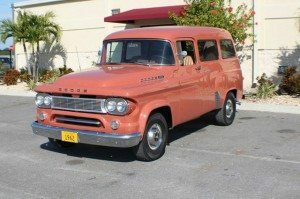 The paint is described as showing it’s age and that the mileage is 7,573…wait a minute! when a car is that low in miles there has to be a good story behind it. With a bit of internet sleuthing I found that the car went up for auction about 2 years ago. 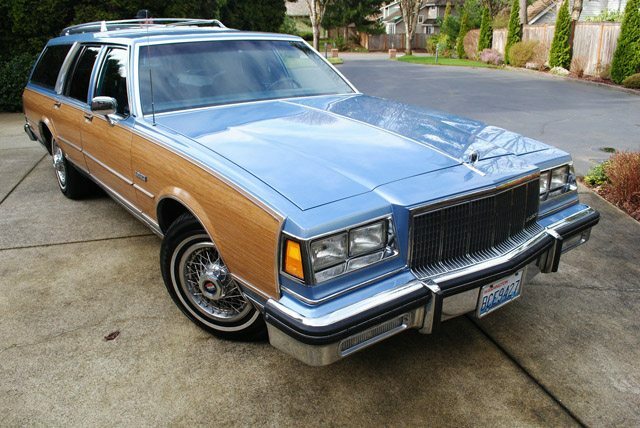 The story in that listing tells of a buyer purchasing a defaulted storage unit that not only had this car but also included a 1980 Buick Regal that also had around 7,000 miles. The cars were owned by two little old ladies who only drove them to church and back (we’ve heard that one before!) After the women passed away, their caretaker inherited the cars and put them into storage where he eventually defaulted on the payments. 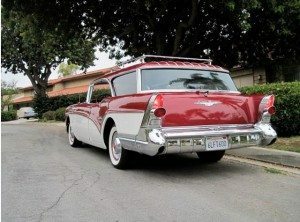 Buick Sport Wagons were pretty cool in their own right. 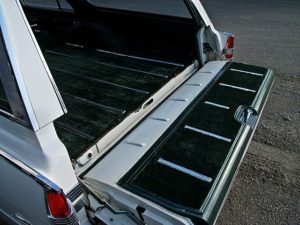 You had the skyroof that was shared with the Oldsmobile Vista Cruiser, bucket seats and sporty wheels that maybe made it a nice compromise for the Father who really had his hopes set on something other than as practical as station wagon. 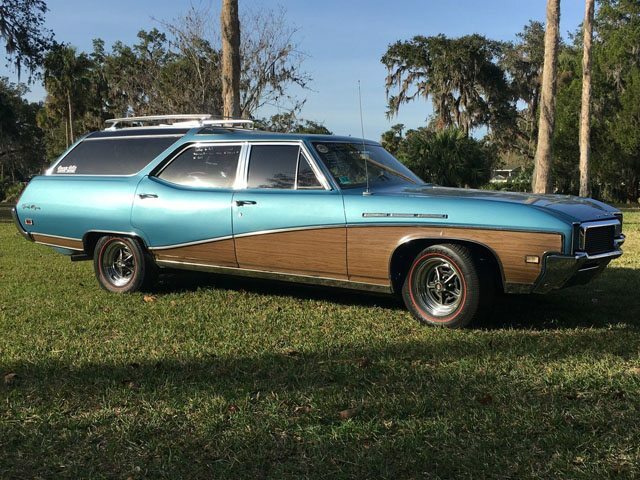 You would think that with the moniker ‘Sport Wagon’ a 2 door version would be in order but Buick only offered 4 door wagons during its run of producing the Sport Wagon. Fast forward some 50 years and here we have it, a 2 door conversion that looks completely stock. Kudos to the builder who for executing the conversion so flawlessly. From time to time I’ll run across wagons converted to a 2 door version but usually they are customized heavily. 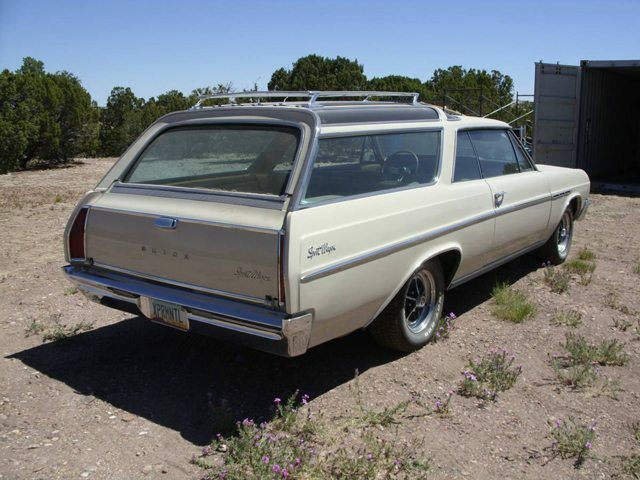 Located in Phoenix, you can find this Sport Wagon on Craigslist with an asking price of $25,000. 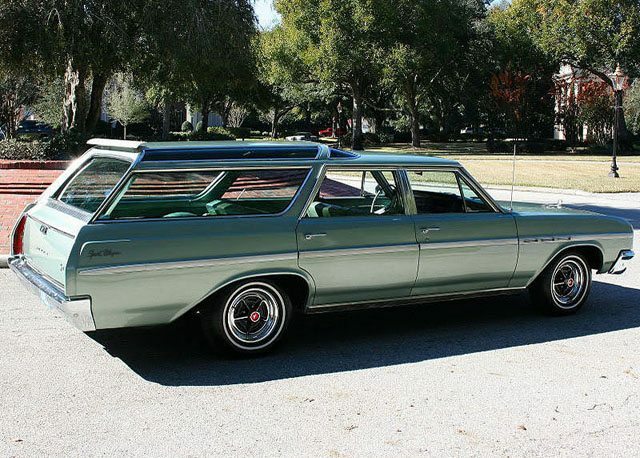 Combining sportiness and practicality Buick Sport Wagons were nice in their own right. Whats especially well done on this 2 door conversion is turning it into a hardtop as if it came off the assembly line that way. 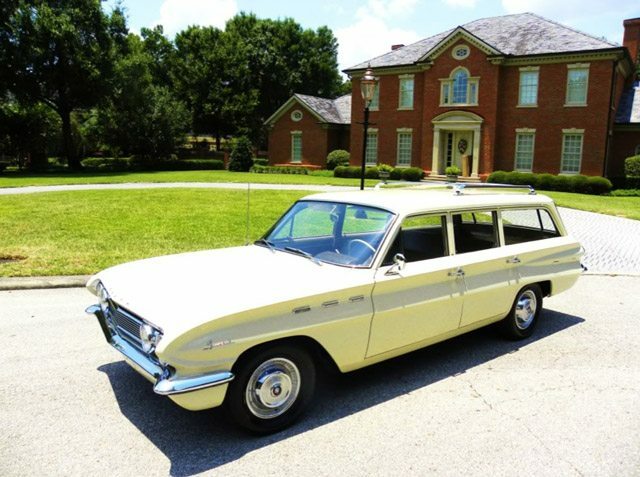 This 1962 Buick Special station wagon is described as a ‘pristine original classic’ with just 47,285 miles on the odometer. The deep sculpting that defines a ’62 Buick works well on this wagon. Described as rust free throughout, there has been one repaint in the correct Mirror Magic Laquer paint that the seller says is an off white color. The pictures aren’t the greatest, but to us the color looks more like a light yellow. The all vinyl interior which was touted by Buick as ‘Childproof’ appears to have held up extremely well after 50 years. Mechanically the car is said to run, drive and stop well. The ’62 Specials came with an all new “Fireball V6” engine that was the first ever American produced V6. The engine was derived from Buick’s 215 c.i. aluminum V8 and was basically the same architecture as the V8 minus 2 cylinders. Cast in iron, the V6 was cheaper than the aluminum V8 but added 35 lbs to the engine. You can find this 1962 Buick on Ebay.